Features extravagant look. Beige leather finish. Ultra soft seat. Consists of a Sofa, a Loveseat and a Chair. Uniquely shaped back and legs. Slick design. Provides plentiful seating space. Elegance lasting for years! Features extraordinary look. Rich red leather finish. Provides comfortable seating. High quality frame construction. Metal finish legs. The set includes a Sofa, a Loveseat and an Arm Chair. Brings energy and passion into the home! 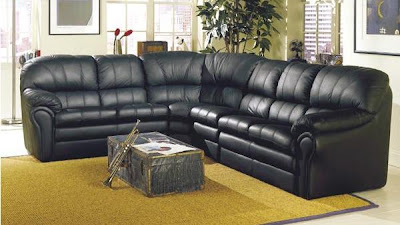 Create a luxurious styled living environment with this modular sectional, featuring 100% black leather, double back, soft pillow arms. Shown with an armless chair that can be added to make one or both sides longer to fit your room. 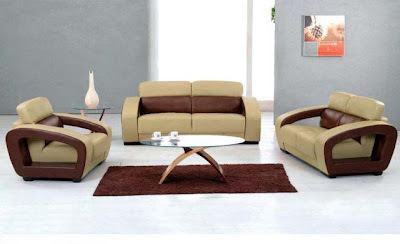 Create a warm and inviting living environment with this contemporary styled sofa set, featuring honey and brown leather finish, wide arms with open design and large cushions. 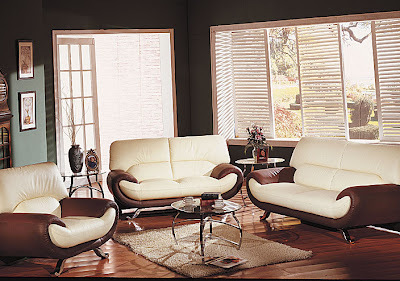 Add modern euro-style look to the setting with this sofa set, featuring beige and saddle leather-match finish, curved arms design, and polished chrome accent legs. 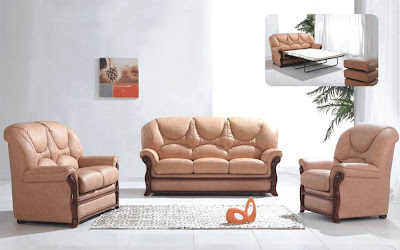 Arrange your living environment with the beauty of traditional style of this sofa set, featuring light rose leather finish, elegantly shaped back design, and brown wooden front. 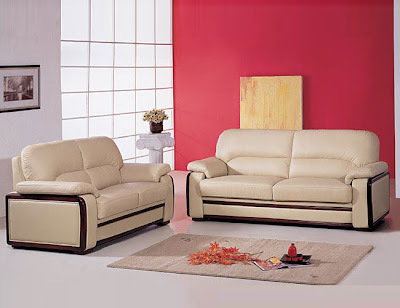 Freshen your living environment with this sofa set, featuring leather covering, double back design, envelope arms and wooden insert on arms and front.